Germany is the country with the greatest integrity regarding privacy. It was the German Bundesverfassungsgericht that first ruled the massive EU data retention illegal. That is why it makes more sense to put your data on German servers than on "clouds" in other countries. Microsoft is tired of the massive NSA surveillance too so they have to decided to put the data they collect from your Personal Computer in German clouds. According to Nadella at the TU in Berlin; Microsoft will team up with Deutsche Telecom and it will be the German Telecom that is managing the data so Microsoft will have no access to them. This represents a new strategy. It is vital that Microsoft has no access to the data because American courts have decided that the data are under US jurisdiction simply because Microsoft is an American company. This ruling is clearly not compatible with the European and German rules of jurisdiction and privacy. It is not OK for a German company to deliver the data to the US government - unkowingly. Microsoft has recognized this and is going for the German cloud simply to avoid massive US surveillance. There is not much doubt that they are tired of the NSA surveillance that has cost them lots of goodwill and lost business. Microsoft is depending on trust these days because they will handle all the data you used to have on your personal computer on their centralized servers. Millions are spent on image and telling people how trustworthy they are. And up til this point it did not matter because Microsoft could have the best intentions in the world and could still be instructed by the NSA or other US agencies to to supply your data to the US government. Microsoft are business people too. 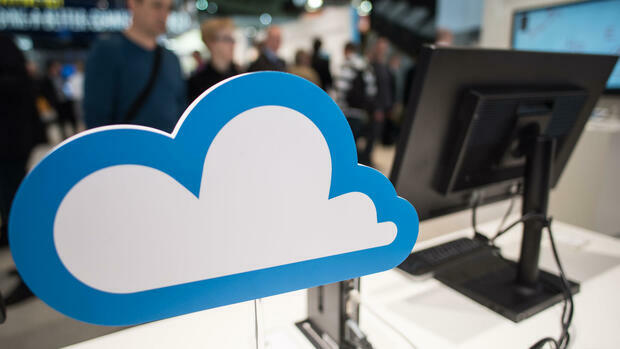 The German government have ruled Windows 8 and above (the cloud versions) as unacceptable to use for government and mission critical enterprises. This is bad for business so Microsoft is reacting to it. It is also clear that Germany is the logical battlefield for Microsoft against their competitor -Linux. In every other country Microsoft has been mostly able to intervene and turn Linux customers over to Windows on the desktops. Not so in Munich though: They went for Linux and even dubious leaks to financial magazines about expensive Linux and cheap Windows did not work. This means that Microsoft is losing ground in Germany and that there is something that almost looks like real competition for Windows as a computer Desktop OS. Many cities and institutions can thank Linux for their cheap Windows solutions. In terms of quality and security there is no doubt that Linux is better but in terms of acceptance and hardware Microsoft has the edge in Germany as in the rest of the world. Linux is given a fighting chance and has proven worthy in Munich - that is new and unusual. Microsoft enhances it's trustworthiness and acceptance for cloud solutions and it will not harm the constant efforts to get rid of Linux in Munich. Microsoft will call the cloud service "Made in Germany" and every EFTA or EU country will be able to run Office 365, Azure and CRM-Online on Two German servers; one in Frankfurt and one in Magdeburg. The Telecom owned company T-Systems will manage the data. At the Technical University in Berlin; Nadella assured that all data there would be on German ground and under the control of the Deutsche Telecom. This is an offer to the companies that want to be on the safe side according to analysts. In no way will it be comparable in terms of safety compared to keeping your data in house controlled by the companies themselves. But the cost aspect of this makes the cloud attractive. The main challenge for them these days is that many programs are designed to send data to the cloud servers without being verbose about it. Sending those data to German servers represents a small step in terms of security - but hardly a giant leap. A loophole and a PR smoke and mirrors pitch... still controlled by them and we know electronic data can be duplicated. The problem is trust and now days with all the geo political crap that is going on is pretty much gone. I think, is time to pitch the Home Server idea. Screw the cloud. The trust is gone there can be no question about that. The PRISM collaboration has damaged the US tech companies - badly. Trust tends to disappear when you do something behind people's back. Microsoft and the US gov had it... and sacrificed it for surveillance. They must have weighed them and decided that Surveillance has more benefits. Microsoft and the US government might have different views on that part though. Just one question. Is there a cloud service in Germany for people to back up personal files to? At work, our Corp is ditching MS Office for the cloud source MS 360... my 1st comment in the meeting was.... with all the security trainning, they are going to trust someone else with a cloud service store in god's know where... very clever. Yes but they forgot to mention that none of the training applied to Microsoft. I think as a German .. I'm only waiting when Github closes and everyone runs to gitlab ..